Sefton supports businesses – any size, any sector! Business growth and investment plans were the topics of conversation as Sefton Council’s Labour Cabinet Member for Regeneration and Skills, Cllr Marion Atkinson, visited two Southport businesses. The visits were set up by InvestSefton – Sefton Council’s enterprise, business support and inward investment service who have helped both businesses through their ERDF Business Growth programme. First up was a visit to Glennray House to meet co-directors Ray Warburton and Glenn Critchley, who have totally revamped a Victorian property in Alexandra Road into a 7-bedroomed B&B. In its first year of trading, they have already received a Booking.com Gold Accommodation award of 9.7 to 10, an Excellence award from TripAdvisor and invitation and membership of Britain’s finest collection of luxury hotels and B&Bs. InvestSefton has supported the business since its inception and the business now trades on a range of social media and through its own website. The group then visited Adaptive Communications Solutions – an owner-managed Telecoms IT and web solutions provider business based in Hoghton Street. The company was set up by Managing Director James Brayshaw in 2003 with the aim of creating a reliable telecoms company that focuses on building long term relationships with customers, offering a high-quality service. The company has grown with a loyal workforce of 25 people and have accrued a wide range of accreditations, qualifications and awards. 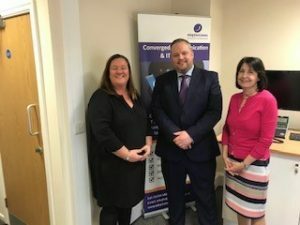 InvestSefton has supported the business on its growth journey and more recently James Brayshaw worked with the team by using his expertise to facilitate a number of highly acclaimed b2b events attended by some 200 businesses, helping them to prepare for GDPR. Cllr Marion Atkinson, Sefton Council’s Labour Cabinet Member for Regeneration and Skills, said: “Once again it was great to see two growing and successful ventures from two ends of the Southport business spectrum that support our own objectives for the local economy and both with a focus on customer quality. For Glennray House, they have gone to great lengths of time and investment to completely restore a beautiful Victorian property to further enhance the Southport visitor offer; I am delighted InvestSefton has been able to lend its support. James Brayshaw of Adaptive Communications Solutions Ltd, added: “I have always passionately believed in looking after your employees. I believe that if you look after people they will look after you. We take customer services very seriously indeed and will always go the extra mile for people. This has led to our fantastic staff and customer retention rates and ultimately been the bedrock of our growth. Council Tax for services provided by Sefton Council will increase by 2.99% to fund the unprecedented demand on Children’s Social Care, protecting our vulnerable older people, and being able to continue to provide the everyday services residents rely on. At Full Council this evening (February 28), councillors agreed the third year of the budget plan and approved the 2.99% rise for 2019/20 for the local authority’s services. For an easy explanation of how your council tax is spent, click here. It means that for the provision of council services, it will cost the majority of householders an extra 78p or less per week (figures based on a Band C property). 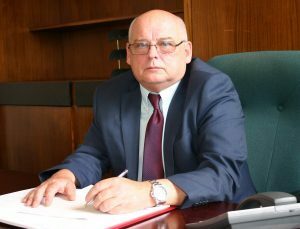 Cllr Ian Maher, Leader of Sefton Council, said: “It is with a heavy heart that we have to increase our Council Tax but we’ve been left with no alternative because we just don’t get enough funding from the Government to continue to run the services that our communities rely on. This is the only way to ensure we manage to provide the vital services everyone expects from us. From caring for children, the elderly and other vulnerable people to emptying the bins, cleaning the streets and maintaining the roads, as well as still providing leisure, cultural and community activities and supporting the skills and business sectors that are essential to the growth of our economy. Due to the increased pressure for social care services, Sefton has still had to identify some new savings to ensure a balanced budget this year. At full Council, a number of options were agreed that would have the least impact on Sefton’s communities. The overall Council Tax bill – which includes police and fire services charges and the new tax for a Liverpool City Region Metro Mayor – will go up by 5.11% to £1,662.32 for the coming financial year (for a Band C property). This excludes the amounts charged by Parish Councils for homes in their areas. In the following video, Cllr Maher provides insight into the pressures facing Sefton Council as it continues to deliver quality services to residents despite increasing pressure on its resources. Diversions will be in place to ensure visitors to Southport Hospital are unaffected by the temporary closure of Town Lane next month. A small stretch of Town Lane will be closed to traffic between Scarisbrick New Road and Folkestone Road from March 4 to March 15 between 6.30pm and 1am for essential carriageway resurfacing works. Access for emergency services will be maintained throughout the works. 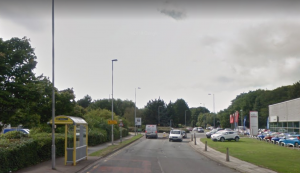 Cllr John Fairclough, Sefton Council’s Cabinet Member for Locality Services, said: “In order to safely carry out carriageway resurfacing, it will be necessary to close a small stretch of Town Lane between Kew Roundabout and Folkestone Road. “Diversions have been put in place to make sure disruption to staff and visitors to Southport Hospital is kept to a minimum. Signage will be in place to divert motorists via Town Lane, Southbank Road, Scarisbrick New Road and vice versa. To keep up to date with the latest road closures and diversions throughout the borough please visit www.roadworks.org. Police are appealing for witnesses following an RTC in Southport involving a bus and a pedestrian. Officers were called shortly before 5pm yesterday afternoon (February 27) to reports that a collision had taken place involving a bus and a pedestrian. The pedestrian, a woman in her 40s has been taken to hospital. The extent of her injuries are unknown at this time. Anyone that witnessed the collision is asked to DM @MerPolCC quoting ref: 715 of 27/2/19.